Volkswagen AG said it will invest about 51.6 billion euros (nearly $71 billion) in its automotive division in the next five years as it aims to pass Toyota Motor Corp. as the No. 1 global automaker in sales and profitability by 2018. “These investments underline Volkswagen's goal of becoming the leading automobile manufacturer for its customers, employees and shareholders," VW CEO Martin Winterkorn said in a statement after the automaker's supervisory board today approved investment plans for 2011 to 2015. "We are systematically pursuing the goals of our Strategy 2018 to further increase our profitability and to make Volkswagen the world's most future-proof automotive group," Winterkorn added. About 27.7 billion euros will be invested in modernizing and extending the product range of all the group's brands, which include Audi, Bentley, Porsche and Lamborghini on the luxury side and the VW, Skoda and Seat volume brands. The main focus will be on new vehicles, successor models and derivatives in almost all vehicle classes based on the company's new modular architecture, VW said. "This will allow the Volkswagen Group to systematically continue its model rollout with a view to tapping new markets and segments," the company said. VW said it will continue developing hybrid and electric motors and invest in new generations of engines with enhanced performance, fuel consumption and emission levels. There will also be cross-product investments of 13.6 billion euros over the next five years. Another 10.3 billion euros will be spent on additions to capitalized investment costs. Quality targets and production process improvements mean that the new products also require changes to be made in the company's press shops, paint shops and assembly facilities, VW said. The ratio of capital expenditure to sales revenue will be about 6 percent on average in the period 2011 to 2015, VW said. This year, VW announced plans to add two more Chinese factories, bringing the total in the world's biggest auto market to 11 as part of a 6 billion euro investment to double production there to 3 million cars within four years. VW will also open a plant in Chattanooga, Tennessee, next year to supply the U.S. market and is expanding capacity in Russia. VW's joint ventures in China are not included in the investments announced today as China operations are not consolidated into VW's results. The China joint ventures with FAW and SAIC will invest 10.6 billion euros from 2011 to 2015, funded by cash generated by the ventures. VW is targeting a second consecutive year of record deliveries as it adds about 70 models, including Audi's new A1 subcompact and successors to VW's Touareg SUV and the Sharan family van. VW is aiming to sell more than 8 million cars by 2012 and 10 million as early as 2015, three years earlier than its official target of 2018, a person with knowledge of the matter said last month. “They're taking the necessary steps in lucrative markets like China, India and the U.S.,” said Joerg Bode, one of the two VW supervisory board members who represent the German state of Lower Saxony, which owns 20 percent of carmaker and has veto rights. “They've committed themselves to ambitious targets under Strategy 2018." 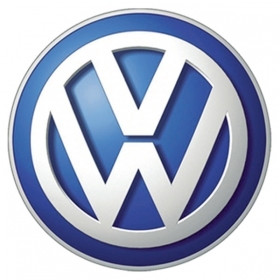 At the end of September, Volkswagen reported net liquidity of 19.6 billion euros. Toyota budgeted 670 billion yen ($8 billion) for plant and equipment spending in its fiscal year ending March 2011 and 760 billion yen for research and development. Toyota doesn't disclose any mid-term spending plan.